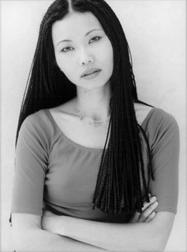 Thuy Trang was a Vietnamese American actress. Trang's father was a soldier in the Army of the Republic of Vietnam (ARVN) and was defending the capital Saigon from the communist Vietnam People's Army during the fall of Saigon in 1975. The communist forces overcame his battalion, which was low on ammunition and air support, during a fierce battle. He decided to return home to retrieve his family, but the route was blocked by the North Vietnamese Army. Fearing for his life, he fled South Vietnam and was given political asylum by the United States. He vowed to bring his family to the United States and work hard to contact U.S. government officials to politically pressure the communist government of the unified Vietnam. In 1975 the rest of the family (Thuy, her mother, two brothers and a sister) were forced to flee Saigon and in 1979 they secretly boarded a cargo ship along with hundreds of other persecuted Southern Vietnamese traveling to Hong Kong, with the ultimate aim of reaching the United States. Thuy herself was very ill at the time and almost did not survive. Upon arrival in Hong Kong, Thuy's father was contacted, who petitioned the U.S. government for political asylum for his family. After about a year living in a Hong Kong detention camp, Thuy and her family were reunited in Little Saigon, California in 1980. The reunion would be short lived though as her father would die of cancer in 1982. Thuy began to study kung fu around the age of nine. Thuy graduated from Banning High School and earned a scholarship to study civil engineering at the University of California, Irvine, planning to follow her father and older siblings. However, around 1992 she was approached by a talent scout which changed her plans. 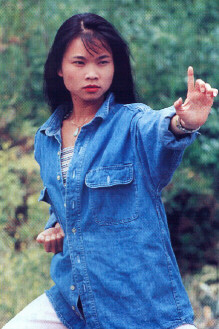 Trang as the Yellow Ranger Trini Kwan in Mighty Morphin Power Rangers. Through the talent scout she got small roles in a couple of TV commercials/advertisements before getting her first major role in 1993 when she landed the role of Trini Kwan, the Yellow Ranger, on the original cast of the TV series Mighty Morphin Power Rangers. The character was written around Thuy herself - an honorable, caring young lady who adored her friends and family. Trang was on the show for about one and a half seasons. She left the show along with Austin St. John and Walter Emanuel Jones (it is rumored they left because of pay reasons), with whom she became very good friends, and was replaced by Karan Ashley. She went on to play Kali, one of the lead villains in the 1996 movie The Crow: City of Angels. Earlier the same year, she also appeared in Spy Hard as a manicurist. However, she was incorrectly credited as a masseuse, her credit being somehow switched with Tara Leon who played a masseuse in the same short scene. She was set to appear in Cyberstrike, which never entered production. Trang also appeared in a video documentary called the The Encyclopedia of Martial Arts in 1995 as an interviewee. 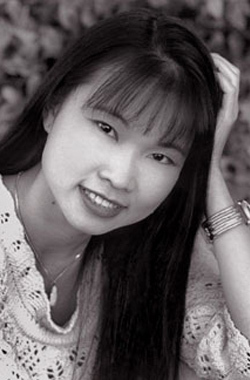 Trang died at the age of 27 in a car accident on September 3, 2001 near San Francisco, California. She and former actress/model Angela Rockwood-Nguyen, to whom Trang was to be a bridesmaid later that year, were passengers in a car traveling on Interstate 5 between San Francisco and Los Angeles. They were returning from visiting Angela's planned maid of honor when the driver (another of Angela's bridesmaids) of the vehicle she was riding in lost control. The car swerved violently across the road before hitting the roadside rock face and flipping several times before hitting the safety rail and plunging over the bank. Rockwood-Nguyen, who has claimed both that she was and was not wearing a seat belt in different interviews, survived despite being thrown out of the vehicle through a window before its final impact; as a result, however, she is now quadriplegic. Trang, who was believed not to have worn a seat belt, died from the injuries she sustained. The driver did not suffer any lasting injuries but it has not been confirmed whether she was wearing a seatbelt or not. The episode "Circuit Unsure" of Power Rangers: Time Force was dedicated to her memory.